» Headlines » Run For The Hills! KNAPHILL FC are preparing for their biggest fixture in their history when they take on non-league giants Woking in the quarter-final of the Surrey Senior Cup next Tuesday, writes Andy Fitzsimons. As the crow flies, only 2.7 miles separate Woking and Knaphill, but the footballing gulf is considerable. With 83 league places separating the two sides, The Cards’ faithful could well assume that their side has already won the match before they kick a ball on Tuesday night (21 February). However, such complacency has never won football matches. occasions; winning the competition 12 times – most recently in 2014, the next result will largely be borne out from a battle of wills. 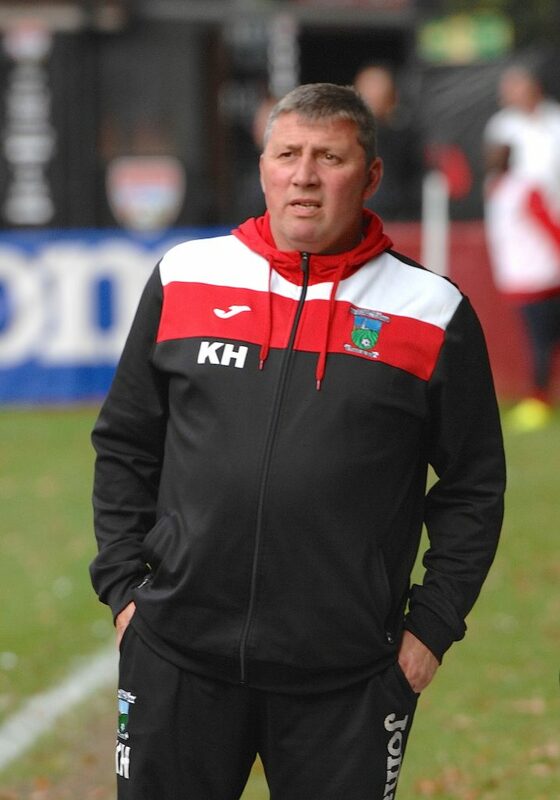 Knappers’ boss Keith Hills knows that his players are not just out to make up the numbers; they have a point to prove. While the Combined Counties League is a far cry from the dizzy heights of the National League, several of Hills’ first team squad have come through the ranks of the Woking academy. Timmy Taylor, Connor Close, Josh Watkins and George Frith (injured) are all players that began their football at the Kingfield Stadium before joining the Knaphill revolution. It’s something that Hills believes could be the ace card up his sleeve. He said: “If there was ever an incentive for my players to show what they’re about, it’s next Tuesday. It doesn’t get much bigger than that for a club like Knaphill. “For some of the players, it may be the first and only chance they’ll have to play in a quarter final of a cup competition and against a big-name club like Woking. It’s about seizing the moment and not letting the opportunity get the better of you. Hills is likely to go with the same team that beat Tooting & Mitcham 1-0 in the previous round of the competition; one that was resolute in defence and potent on the counter-attack. And if goalkeeper Richard Shelley can produce a similar match-winning performance like he did against The Terrors a fortnight ago, Woking are likely to have their work cut out. “It was very hard to go to play a team like Tooting, who are top of the Ryman League South, and second-guess whether they were going to field a number of under-21 players or not,” explained Hills. “It just so happened that their under-21s played the night before we were due to play, so we knew that they would field a strong first team squad, which we were prepared for. “The lads played out of their skins against Tooting; I couldn’t fault any one of them. Tooting are a very good footballing side; they played triangles around us for the first 20 minutes and made it very difficult for us. In the end, though, it came down to a simple equation: we took our chance and they missed theirs, which is why we won the match. “We know that we’re the underdogs against Woking, so it’s important that my players remain focused, but enjoy the occasion. We’ve got everything to gain and nothing to lose, which is a good position to be in,” added Hills. 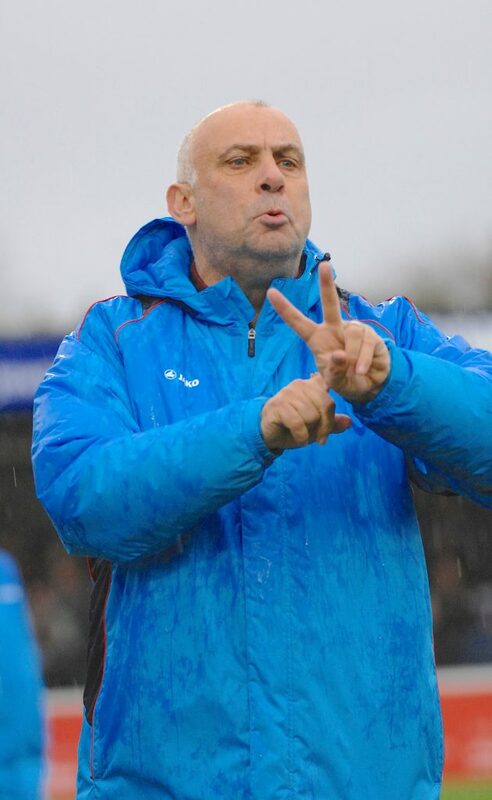 With Woking languishing just above the drop-zone in the National League, Cards’ boss Garry Hill may well decide to rest on his laurels for once and opt for a mix of experience and youth to help preserve Woking’s league status over winning any silverware this season. It could mean, therefore, that all three of Woking’s on-loan players; namely: Chris Arthur (Crawley Town), Connor Hall (Sheffield United) and Macauley Bonne (Colchester United), will feature against Knaphill. He said: “Next Tuesday is our cup final, there’s no two ways about it. “It signifies where we are now as a football club and just how far we’ve come in a relatively short space of time. “We’re not expected to beat Woking; we know that, but we’re going to go to Woking next week and represent the club as professionally as possible, both on and off the pitch,” he added. In stark contrast to Knaphill, Freeman recognises that Woking have got bigger fish to fry – so to speak – given where they are in the league and the resources available to both football clubs. In 2001, Knaphill were plying their trade in the Surrey Intermediate League at a time when Woking had reportedly paid Crystal Palace £60,000 for striker Chris Sharpling. And four years before that, The Cards sold defender Steve Foster to Bristol Rovers for £150,000. Yet despite their humble beginnings and lower league status, The Knappers remain in a position of ascendency and a shinning example for other football clubs to follow in when it comes to togetherness and attention to detail. “We’re here where we are today because of the unity we have in the club and the bond the players have with each other,” explained Freeman. “Over the past two to three years, there’s been a real sense of togetherness at Knaphill Football Club. And while it would be unnatural if people always saw eye to eye all of the time, football should harness a sense of belonging, which is why I genuinely believe that we are stronger together. It’s not about one individual. 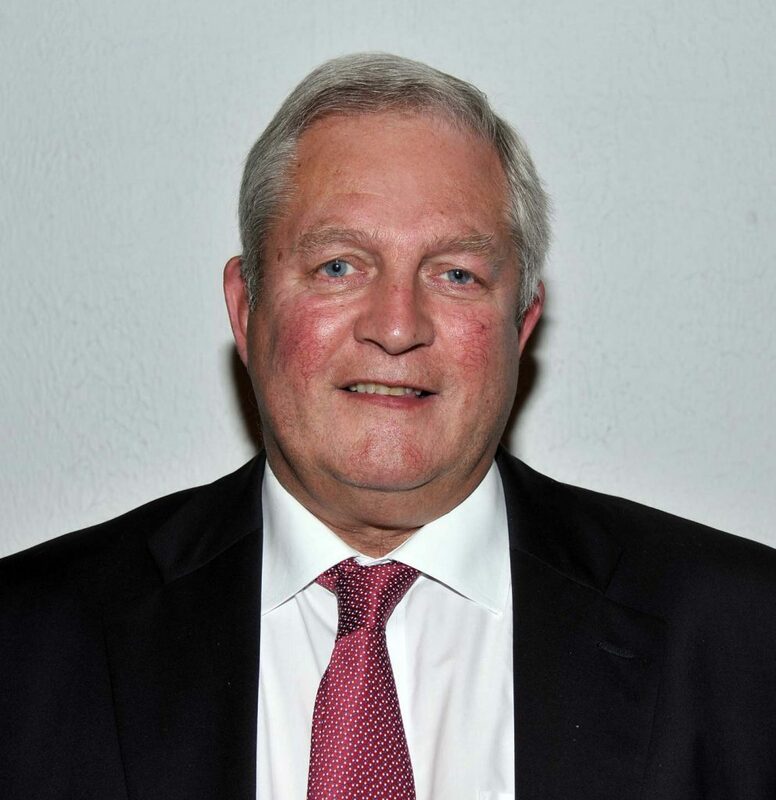 “The committee and I set out to run this football club as professionally as we can. People will always look at what you’re doing and judge you on that, so I want to set the bar high. “I know that we have inadvertently inspired other clubs to replicate what we do, but that is something to be proud of. It’s about continuing to do the right thing and let everything else take its course,” he added. Former Woking manager, now commercial director, Geoff Chapple, says Woking will take the cup fixture against Knaphill seriously. He admits, however, that current boss Garry Hill will consider the club’s National League programme and is likely to avoid picking players that might be nearing suspension. All of Woking’s loan players have been given permission to play in the County Cup by their parent English Football League clubs. While Knaphill continues to set its sights on gaining promotion to the Ryman Football League within the next two years, the Woking fixture will always herald a significant milestone from where the club were, to where they are now. 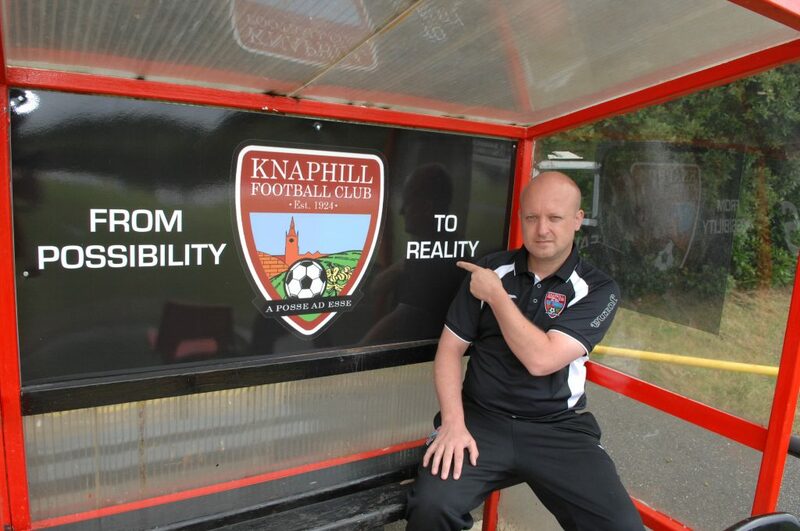 For some, it’s the shape of things to come; and who knows, if they continue the way they are, Knaphill could even be playing Woking in a league match before the 2022 FIFA Qatar World Cup.